Well! This has been a busy weekend, and I’m glad to say that all of the beta keys I was given have been sent to loving homes. I did a series of mini giveaways on twitter and facebook yesterday, and have just finished selecting the top 15 jokes of the entries I received for the joke contest! I wound up with a couple hundred entries, so judging wasn’t exactly easy. I managed to narrow it down to the 15 punchlines that made me laugh the most, though 😉 So, here we go! The sylvari inquires as to the origins of the bar, and the asura curses the damned inscrutable location for the bar to have been built. The sylvari was astonished, as it was her first time at a bar. 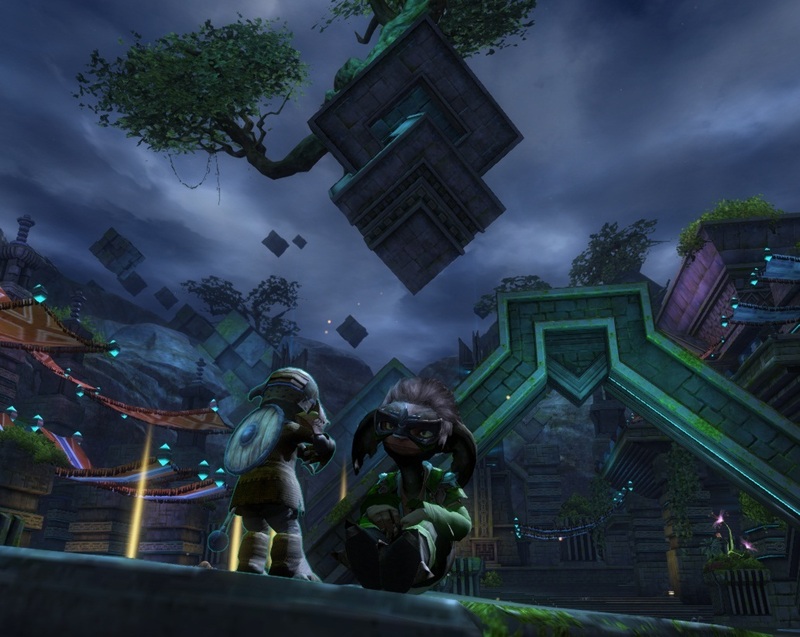 The asura knowing the memories are shared amongst the sylvari, thought of an experiment. “What if i give this plant some alcohol?” And so, the next generation of sylvari are now in rehabiliation. 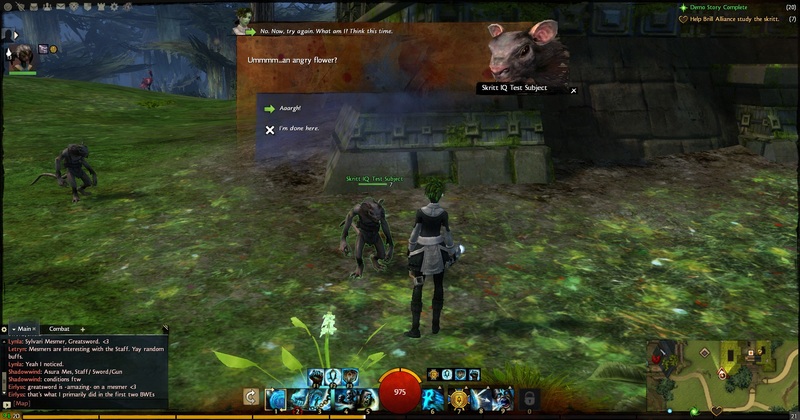 What did the sylvari say to the charr? The dreams tell me you like to scratched behind the ear. My bark is worse than your bite! 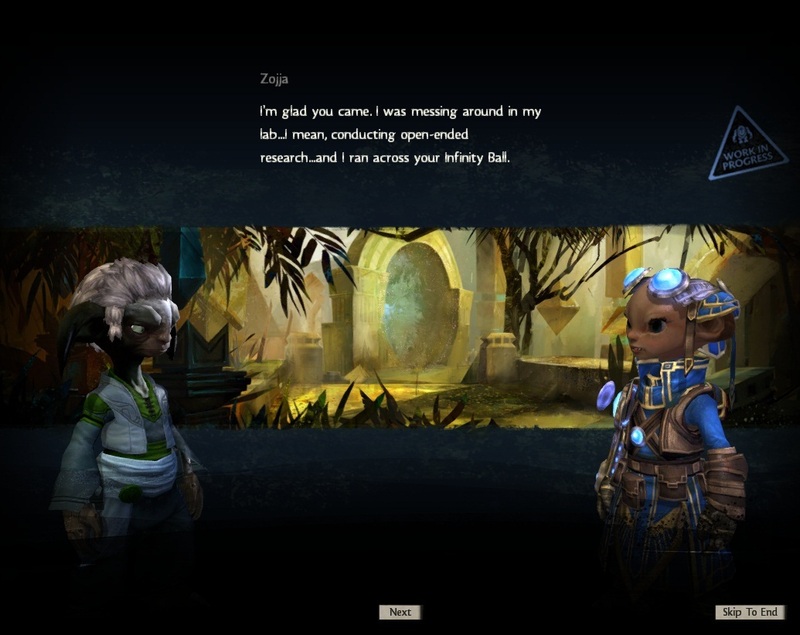 What happens when a norn challenges a sylvari to a drinking contest? Wheat-rye’d to see what happens, but the sylvari could barley hold their liquor! 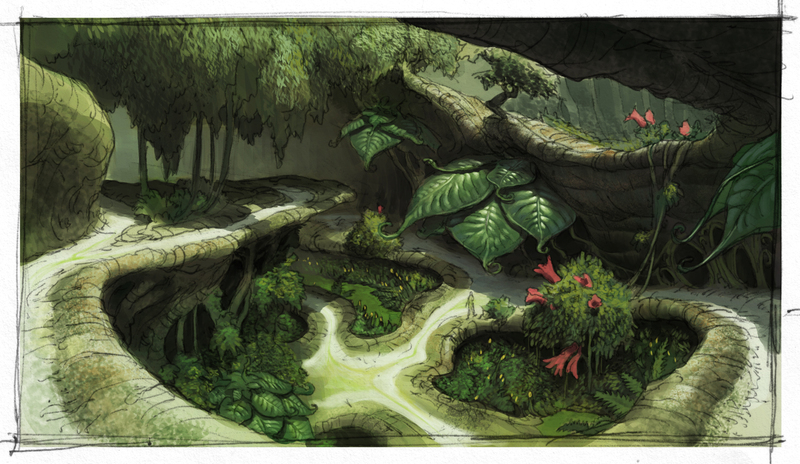 All the sylvari share a hangover. The Sylvari starts ordering Rootbeer. 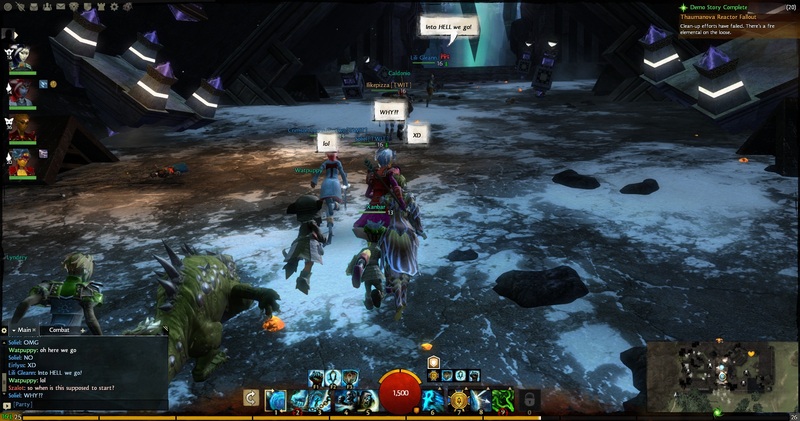 So what happens when a norn challenges a sylvari to a drinking contest? They go neck and nectar. She finds out the hard way why you don’t over-water plants. So, once again, thanks to all who entered, and congrats to the winners – I hope to see you all in game next weekend! No beta key? No problem! As the lovely folks over at ArenaNet are awesome, they’ve been giving various fansites beta keys for the final BWE that’s happening July 20-22. And we’ve got 25 of them to give away here at Under the Pale Tree! Now, the nitty gritty. To actually enter, send an email to verene@thepaletree.net, with the subject line “BWE3 Key Contest”. Please include three things: 1. The joke you’re answering, 2. Your actual punchline (obviously! ), and 3. Your online alias you’d like to go by. One entry per person, obviously – this means you can only come up with a punchline for one joke! All entries must be in by 8pm CDT (9pm EDT, 6pm PDT) on Sunday, July 15th. Keys will be distributed to our favorites by Monday afternoon, and our favorite punchlines will be published on the blog. The keys are only good for BWE3, and not for any other stress tests that may happen after that point. Also, be fair and please don’t enter if you’ve already got your beta place. Let everyone get a chance at playing next weekend! EDIT: IF YOU ARE COMMENTING ON THIS POST, YOUR ENTRY DOES NOT COUNT. ALL ENTRIES NEED TO BE EMAILED TO ME TO ACTUALLY COUNT. Please, if you are going to enter a contest, take the time to actually read and follow the rules. 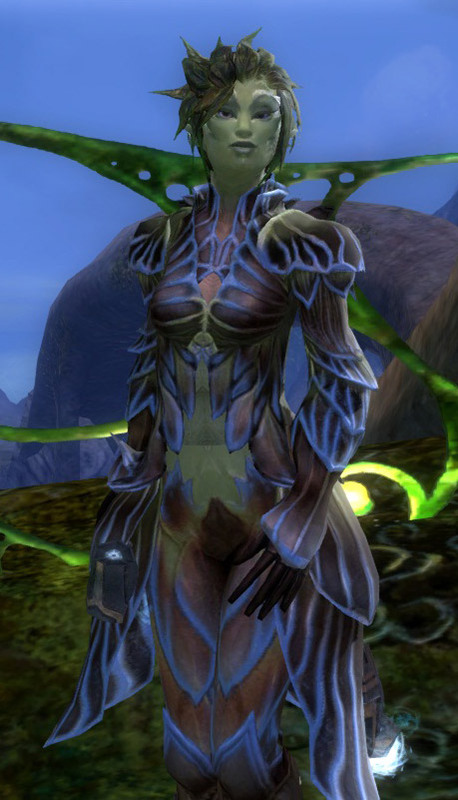 Sylvari fangirl, reporting for duty! If you’re on this blog, there’s likely one fact about me that’s quite obvious. 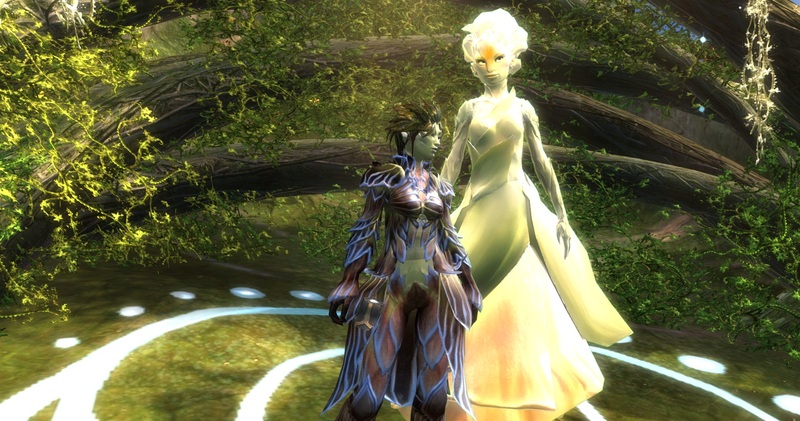 If somehow you’ve missed it…I’m a bit of a sylvari fangirl. Just, you know, a tiny bit. From explaining why they’re unique and speculating about the redesign long before it was revealed, to wondering what makes them incorruptible, exploring their sexuality, to writing up a very short story from the point of view of my sylvari character…yeah, I rather love the sylvari. I think the only thing that comes close to how much I talk about the sylvari and how much I like them, is my love of Mesmers. 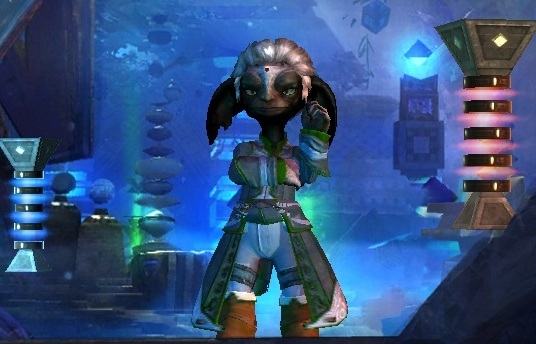 Not surprisingly, my main character in Guild Wars 2 is going to be a sylvari Mesmer. 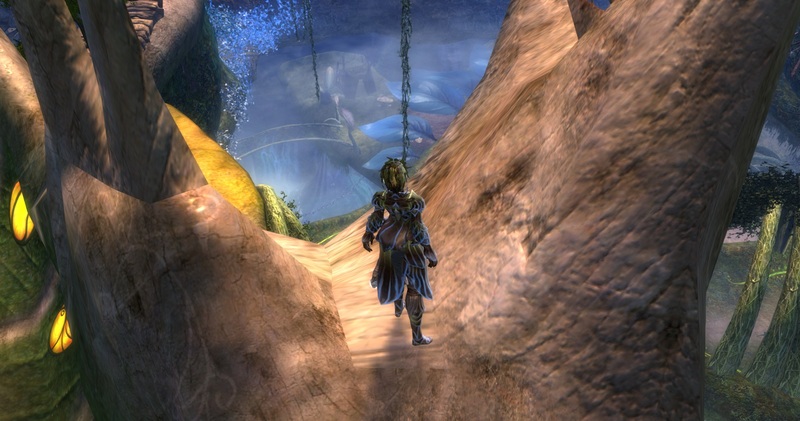 Then, this morning, ArenaNet posted up a new blog post, revealing that the sylvari (and asura!) will be playable in the last BWE? Well, I was quite pleased. …that may be a bit of an understatement. Originally I had planned on getting my human Mesmer to level 30 and doing the Ascalon Catacombs during the last beta. Now, however…you’ll be far more likely to find me in the Grove. Exploring everything, taking videos and screenshots. 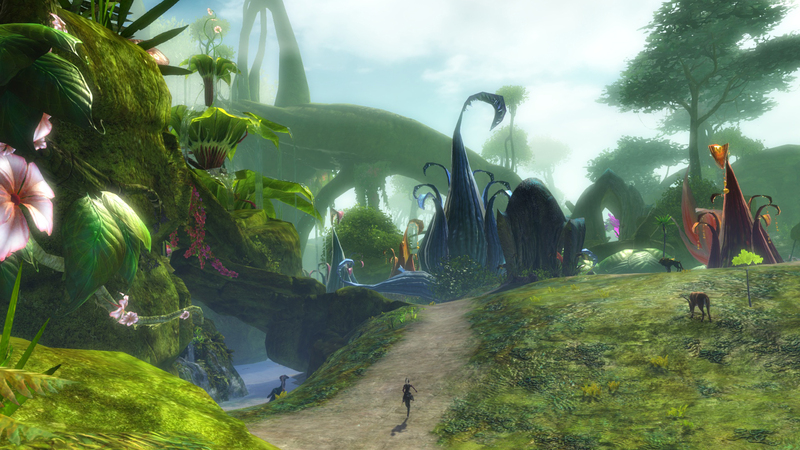 Part of me wants to wait for release to create and play a sylvari. But part of me…the fangirl part of me that fell in love with the sylvari the moment the very first Guild Wars 2 trailer was released back in 2009…doesn’t want to wait. And the “I’ve waited long enough” part of me is the bigger and louder part…and hence I’ll be spending quite a bit of time on the 20th in character creation, making my sylvari and getting her just right. And then screencapping the settings so I can recreate her come August 25th when early access starts. I’ll see you in the Grove!